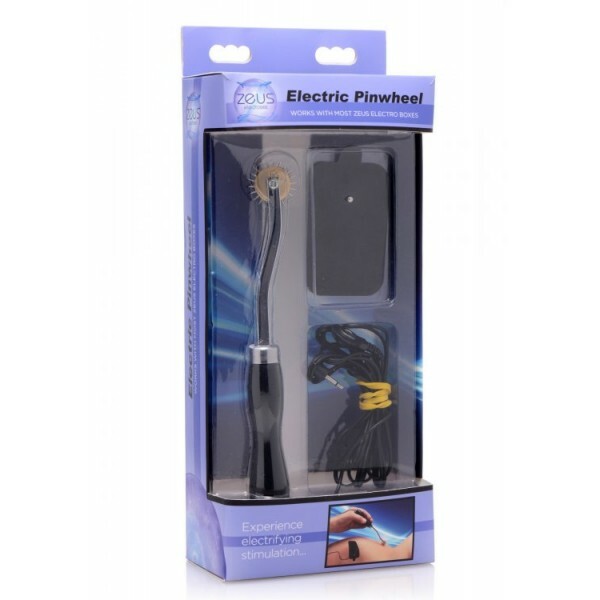 Kick sensation play up a notch with an exciting electrical experience! 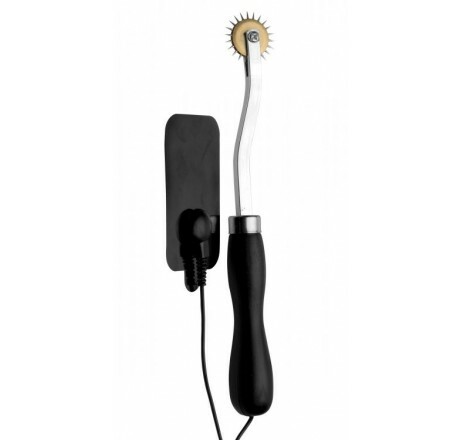 This kit includes a Wartenberg wheel, conduction pads, and a set of leads to attach to your Zeus Powerbox. 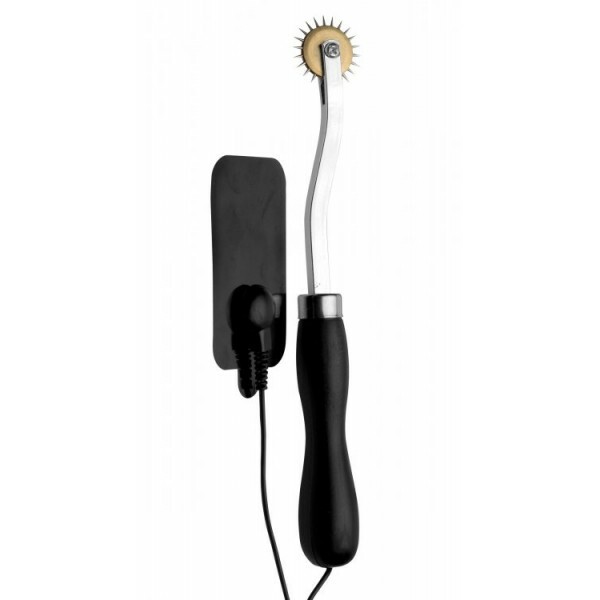 Attach one pad and the pinwheel to the leads and use your powerbox to control the level of electrostimulation, from a tiny tingle to a sizzling jolt. 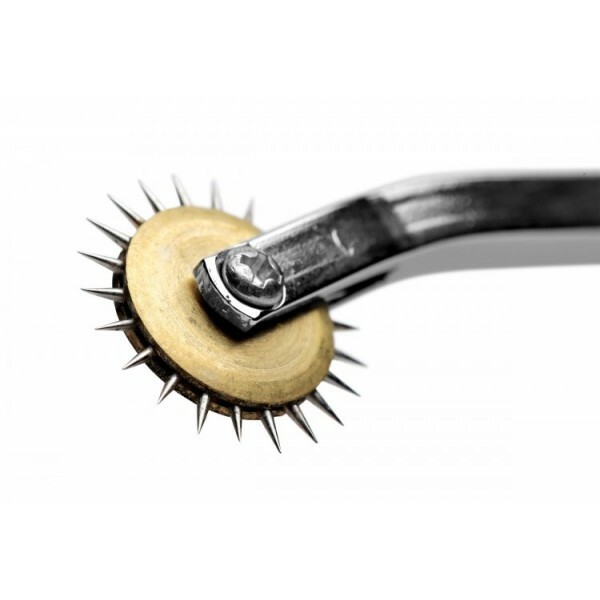 Use with a partner or on your own to feel the sharp pinpricks of the Wartenberg wheel accompanied by shocking pleasure! 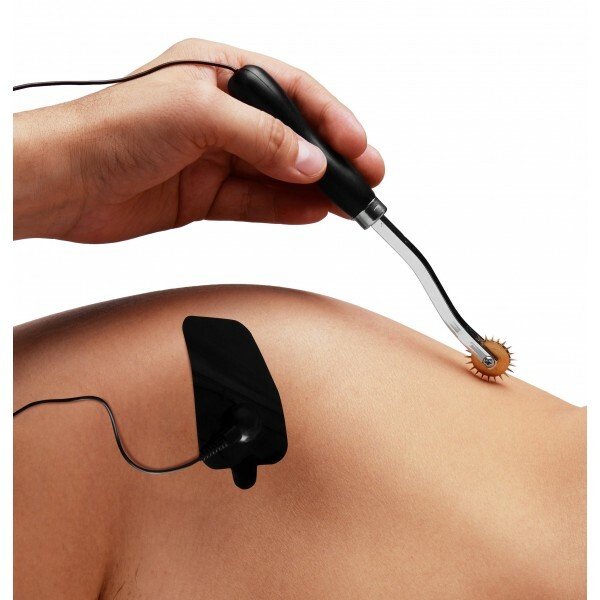 You can even share the sensation with your partner when one of you wears the conduction pad, however the handle of the pinwheel does not conduct current. 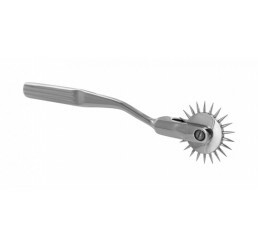 Measurements: Pinwheel is 7.25 inches in length, 1 inch inc width. Pads are 2.75 inches in length, 1.75 inches in width. 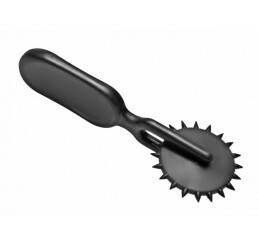 Material: Metal, ABS plastic, rubber. 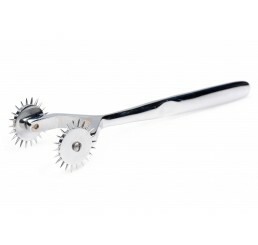 Note: Includes Wartenberg wheel, 2 conduction pads, and leads. Compatible with most Zeus Powerboxes, not included.